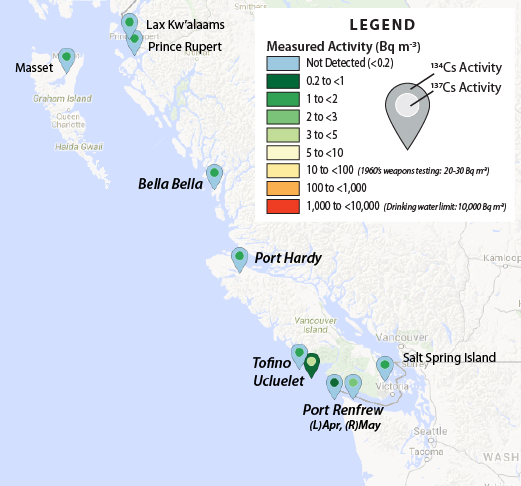 Animation of InFORM coastal monitoring results with the latest data (March and April 2016). The waters of the northeast Pacific have been warmer than normal since the fall of 2013. The reasons why are still being investigated by many, but the scale and intensity of this phenomenon make it unlike anything observed before. Scientists currently believe that the cause of the warm ocean waters is that they simply didn’t cool off like they were supposed to in the fall and winter of 2013-2014.